This is just a handful of my extracurricular activities while at Pace. Click on the link below to navigate to that block, or feel free to scroll through the page! Also, click on the photo to be directed to that organization's webpage. Position Description: The President of the Residence Hall Association oversees seven different hall councils, and an executive board. They are in charge of planning events, overseeing progress and budgets, and maintaining a reputation on campus. Organization Description: The Residence Hall Association (RHA) is a student-run university residence hall governing body, in charge of the indivual residence hall coucils within each residence hall. Position Description: Week of Welcome leaders lead a group of 10-20 students in an array of orientation events, including campus tours, ice breaking sessions, and competitions. Week of Welcome leaders provide a fun and entertaining atmosphere for first-time students on the Pace University Pleasantville campus. Application Process: leaders are chosen by a paper application and a practical group interview, supervised by various Pace University staff members. WOW leaders are chosen, and then must undergo training before they are introduced to the first-time students in September. Position Description: Interns at Hope's Door focus on file classification and general tasks, such as child care and client maintenance. They are in charge of ensuring that all files are in the proper place, and that all files have the necessary pages, such as progress notes and intake forms. Organization Description: Hope's Door Domestic Violence Shelter seeks to end domestic violence, and to empower victims to achieve safety, independence, and healing from the trauma of abuse. Position Description: The National Communications Coordinator (NCC) is the main laison between a University's Residence Hall Association, and their regional and national affiliate. The NCC plans all conferences within the region, and then serves as the delegation chair for said conferences. At regional and national conferences, this NCC also serves as the business representative when it comes to awards, reports, and/or legislation. 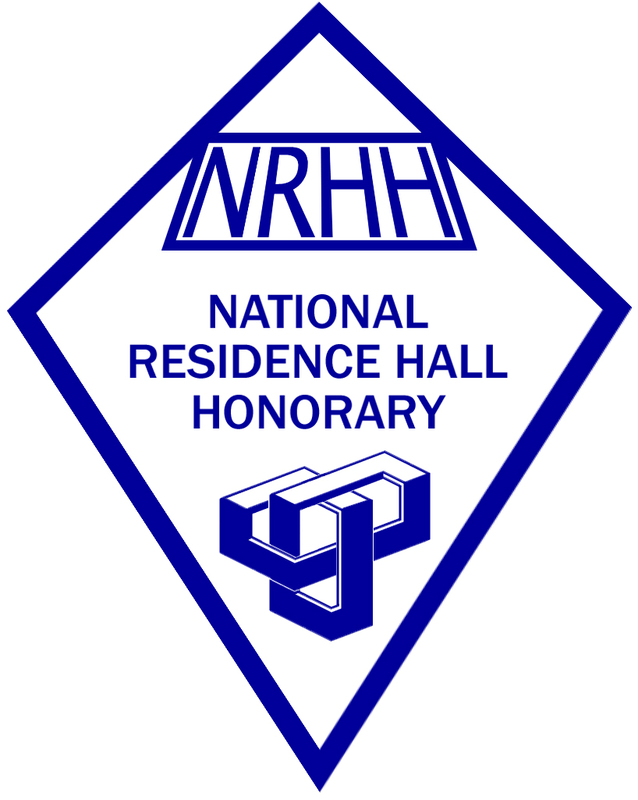 Position Desc ription: The National Residence Hall Honorary (NRHH) is the premiere honorary dedicated to recognizing leaders in the residence halls. Members make up the top one percent of resident students, and focus on the four main pillars: Recognition, Service, Academics, and Leadership. Organization Description: The President of NRHH serves as the main facilitator of the organization. He or she will maintain order, and plan for the betterment of the organization as a whole. The President must delegate responsibilities, and assure that these responsibilities are carried out. 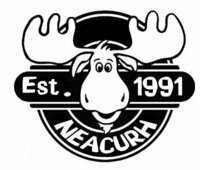 Position Description:Members of the NEACURH On-Campus Committee plan activities and resources that bring the spirit of NEACURH to college campuses. These activities focus on sharing information among schools, and supplying Residence Hall Associations information to become more involved within NEACURH. Organization Description: The North Eastern Affiliate of College and University Residence Halls (NEACURH) is part of the largest student-run organization in the world, NACURH. NEACURH brings together students from across the region to share ideas, programs, and business that betters residential life. Position Description: OTMs, or Of the Months, are the main recognition tool used in the North Eastern Affiliate of College University Halls. The Regional OTM Voting Committee chooses the best OTMs within each category, and submits them to a national level for a higher level of recognition. Position Description: The NRHH Standards Committee is focused on preparing legislation that improves the National Residence Hall Honorary. It creates rules and suggestions that chapters across the United States, and abroad, can adopt for their school-specific chapter. Organization Description: NACURH is the largest student-run organization in the world. It works towards the betterment of residential life across the nation, and in other affiliated countries. Currently, NACURH covers the entire United States, and parts of Canada, Australia, Mexico, Qatar, the United Arab Emirates. Organization Description: Golden Key International Honour Society is an organization focused on enabling members to realize their potential through the advancement of academics, leadership, and service. Membership is offered to the top fifteen percent of an academic class, either undergraduate or graduate. Golden Key believes in the power of knowledge to transform lives and change situations for the better. The Society has over 400 chapters in eight countries. Position Description: Interns with Dr. Lavi focused on her book, The Wake Up and Dream Challenge. As an intern, I was in charge of managing her blog and social media posts, promoting her book, and managed a promotion that got the book to the Top 10 Self - Help Books on Amazon. Organization Description: ACT Now Psychotherapy is a system developed by Dr. Barabara Lavi that specializes in divorce, anxiety, fears, phobias, loss, illness, and trauma relief. In addition to the therapy, Dr. Lavi wrote The Wake Up and Dream Challenge, in which readers will become the inventor, driver and navigator of their own unique time machine that will help readers chart their way to the future of their dreams. Organization Description: Psi Chi is an international honor society whose purpose shall be to encourage, stimulate, and maintain excellence in scholarship of the individual members in all fields, particularly in psychology, and to advance the science of psychology. The mission of Psi Chi is to produce a well-educated, ethical, and socially responsible member committed to contributing to the science and profession of psychology and to society in general. Organization Description: Lambda Sigma Society is a national honor society for second year men and women dedicated to the purpose of fostering leadership, scholarship, fellowship, and the spirit of service among college students, and to promoting the interests of the college or university in every possible way. Lamda Sigma is dedicated to improving the lives of college students, especially sophomore and second-year students. Organization Description: The Pforzheimer Honors College is a prestigious honor at Pace University. Selected students are among the best in their class. To remain in the Honor's college, students must maintain a 3.3 overall GPA, and attend academic programming. At graduation, these students are awarded recognition through a notation in the printed program, bestowal of an Honors medallion, an Honors diploma, and designation of Honors College on their transcripts. Beasiswa Pendidikan Unggulan , Lembaga Beasiswa Pendidikan , Informasi Beasiswa Pendidikan , Beasiswa Pendidikan Mahasiswa , Beasiswa Pendidikan Unggulan Kemendiknas , Beasiswa Pendidikan Unggulan Online , Beasiswa Pendidikan Unggulan Diknas , Beasiswa Unggulan Sinergi , Beasiswa Pendidikan Program Pascasarjana .